Absa raised revenue by 3% to R37bn in the first half of the year, with CEO Maria Ramos saying the banking group was now free to set its own risk appetite following its separation from Barclays. Last month, the bank rebranded itself after the British bank sold down the controlling stake it bought in 2005. According to Absa, growth in retail and business banking in South Africa boosted earnings, as well as wealth, investment management and insurance divisions. However, cost-to-income ratio dipped to 56.2% from 55.5% during the same period last year, while operating expenses increased 4% to R20.8bn. "An important milestone in positioning for delivery against our strategy was achieving full regulatory deconsolidation, which means that UK regulators no longer regard Absa and Barclays PLC as a single entity," said Ramos. "In practical terms, it means that we no longer operate under any policy frameworks set by Barclays PLC. For example, we are now free to set our own risk appetite." In 2005, Barclays acquired a 50.1% stake in Absa, the British giant has now reduced its stake to 14.9%. Absa says it has a balance sheet of R1.2trn, and "strong capital and liquidity levels", with plans to embark on a growth path to double its share of banking revenues in the continent to 12%. On the home front, the bank has reshaped its retail and business banking, and reduced management headcount to enable faster decision making. 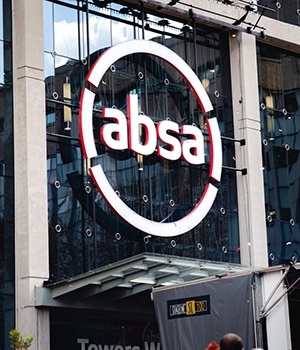 The retail and business baking unit accounts for more than half of Absa’s total income. Ramos said new home loans, one of the areas the bank has been targeting for growth, increased by 14% in the first half, against the market growth of 4%. The bank increased dividend by 3% to R4.90 per share. The lender operates in 12 countries in Africa and has recently launched WhatsApp banking in South Africa in a bid to boost its retail business.